Teenage boys love video games. Nowhere is that better illustrated than in Piper Jaffray's latest survey, Taking Stock with Teens, which helps us non-teens better understand teens’ consumer spending habits. According to the survey, teenage boys spend 14% of their budgets on video games. That's more than anything else outside of life necessities like food and clothing. Free-to-play games like the incredibly popular "Fortnite" and, more recently, "Apex Legends," are also helping to capture new gamers, and, surprisingly, getting more players to pay for premium games. What's more, 60% of all teens teens said they now prefer downloading their games to buying physical media, versus 55% this time last year and 45% the year before, which means big benefits for game publishers. But it also spells serious trouble for the likes of video game retailer GameStop (GME). In its survey, Piper Jaffray spoke with 8,000 members of GenZ in the U.S., the cohort of people born between 1997 and 2012 who make everyone else on the planet feel geriatric by comparison. The teens said they spend $2,600 per year, which works out to $77 billion if stretched across the entire teen population of the U.S. Teen boys in particular spent the most on games, while teen girls spent 1% of their budget on video games. That's in stark contrast to the gender breakdown of gamers across the age spectrum, which, according to a study by gaming industry research firm Statista, shows that gamers are 55% male and 45% female. According to Piper Jaffray analyst Mike Olson, the difference might have to do with the age of the respondents. Women tend to play games on mobile platforms, Olson said, and mobile gamers tend to be older, which is why the teen survey shows gaming skew so heavily toward males. Interestingly, while free-to-play games were once seen as a potential threat to the established premium games market, the Piper Jaffray survey shows that free-to-play titles could spur teens to actually spend more on paid games. The survey asked teens how games like "Fortnite" impact their decision to purchase other games, with 13% saying they planned to buy more games after playing Epic Games' hit, up from 7% in fall 2018. 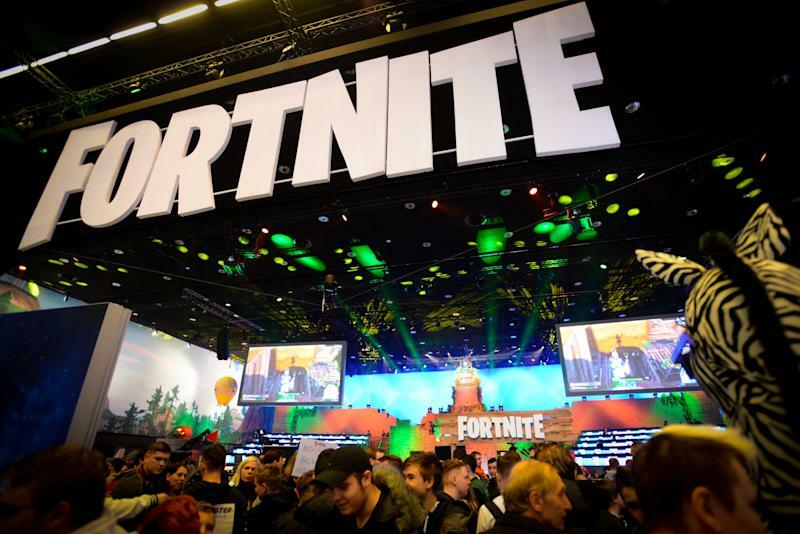 What's more, the number of teens who said they would buy fewer games decreased from 37% to 36%, meaning that "Fortnite" is getting teens to buy more titles. That should be a boon for game publishers and developers, but it's not likely to help retailers that sell physical copies of games. The primary reason for the rise in game downloads is that it's easier to buy a game online and download it in less than an hour than to have to go to a store and buy a physical disc or cartridge. Downloads are also a benefit for companies like EA (EA), Take-Two Interactive (TTWO), Activision Blizzard (ATVI), Ubisoft and other publishers, which will see improved margins as they cut back on producing discs and cartridges. But the publishers' gains are GameStop's loss. Beyond losing revenue as fewer customers buy physical games, the company will continue to see a decrease in the number of people trading in old titles. GameStop uses traded in games to sell them at a higher margin than new games. What's more, online retailers already significantly reduce the price of games just a few weeks after they initially hit the market, so there's no longer such a need for gamers to buy used games as a means of saving a few bucks compared to new copies. Adding to GameStop's woes are the coming crop of streaming game services from Google (GOOG, GOOGL), Ubisoft, Microsoft (MSFT) and Nvidia (NVDA), among others. Microsoft and Sony, Olson said, are also expected to launch versions of their next-generation game consoles without disc drives at some point in 2020, which would further impact GameStop. One thing is for certain, though. Gaming isn't going away anytime soon.